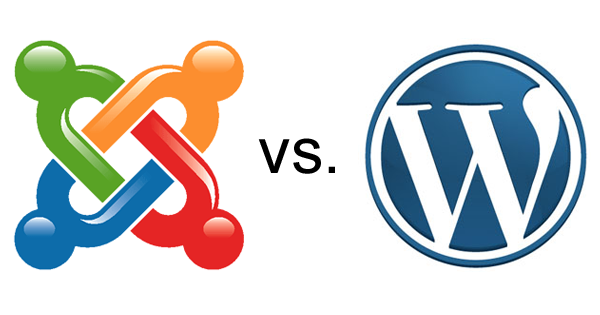 WordPress versus Joomla, Which CMS Should You Choose? There are lots of similarities and differences between WordPress and Joomla. The foremost similarity is that both WordPress and Joomla are free-to-use content management systems (CMS) and are available to anyone who’d like them. One particular difference is that WordPress is a blog style content management system while Joomla is a portal or community type CMS. In order to use either WordPress or Joomla, you don’t have to master coding and programming skills. WordPress started as a blogging platform but now has evolved into a full-fledged Content Management System. The most convenient thing in WordPress is that it caters newbies for how it is easy to use and understand. All you need is basic installation of WordPress and to make use of its features. It has the ability to created responsive websites. There are several interactive things available in WordPress either free or paid and are over 36,237 in the directory of WordPress provide everything you need. It has the biggest potential to serve blogging needs and social platforms (Google, Facebook Twitter etc). WordPress offers the best SEO support with its plugins being SEO Yoast at the top. Joomla is the second most used CMS after WordPress. It is quite reliable for e-Commerce websites but needs some level of technical coding. The name Joomla refers to “all together” in an Asian national language. Joomla has improved itself since that last 3 years. It is free of charge and easy to download. It is the best fit to run custom websites. It is also a mixture of all great features found in Drupal and WordPress. One of the most popular e-Commerce store on the internet is ebay which is also built on Joomla. Joomla is built on PHP, licensed under the GNU and is absolutely free. It also provides the best support for SEO. Although for the complex website, it is necessary to invest in SEO plugins like SH404. WordPress has a built-in comment system which is not readily available in Joomla. WordPress is however more intuitive and easy to use as compared to Joomla. It is quite easy for the beginners as well. Out of all the websites coming online, every 3rd website is being built on WordPress because you don’t have to master any coding skills. Experts are recommending WordPress as it is updating more and more. Joomla on the other hand is also reliable has also taken lot of popularity. It provides great security to handle complex things. The intranet which is the rising trend of large corporations is also the invention of Joomla.